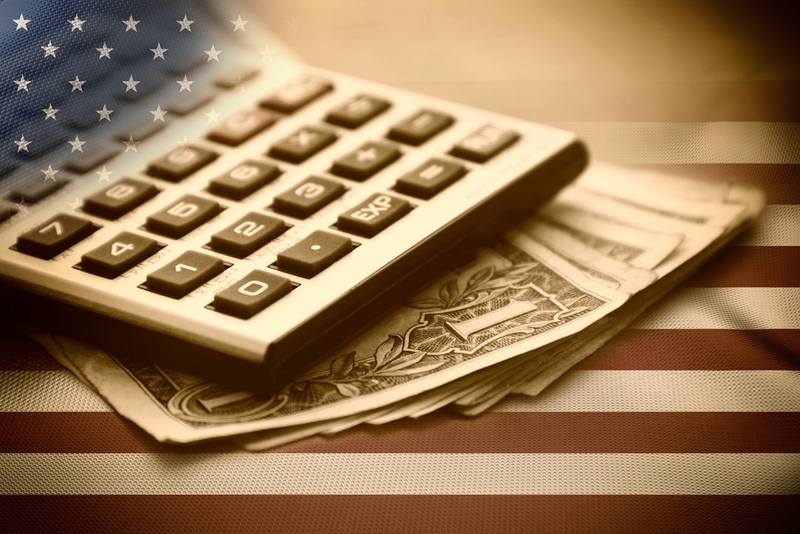 ARTICLES What Are the Eligibility Requirements for Tax Forgiveness? What Are the Eligibility Requirements for Tax Forgiveness? Benjamin Franklin is often quoted as saying, “The only things that are inevitable are death and taxes.” It’s also inevitable that every year, some people are going to get on the bad side of the IRS and wonder about tax forgiveness eligibility. 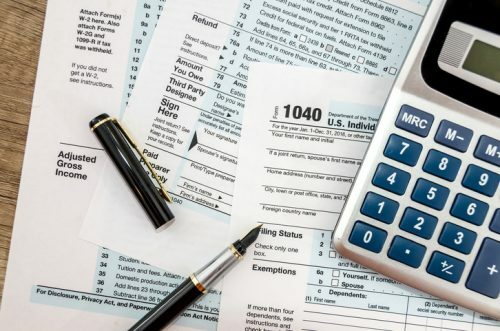 There are a host of reasons why people can fall behind on their taxes, but the conclusion is the same: They end up owing the IRS back taxes plus interest and penalties. The amount the IRS adds on to delinquent tax debts can be staggering, and what’s more, they expect the amount to be paid in full unless other arrangements are made. Luckily, the IRS offers a few debt relief solutions that are made specifically to help you if you are having trouble paying your taxes. This article will discuss what tax forgiveness is, how to qualify, and the differences between tax allowances, exemptions, and forgiveness. It will also explain the different eligibility requirements stated by the IRS. How Can Tax Debt Be Forgiven? There are a great number of myths about what tax forgiveness eligibility actually is. There are some programs out there that will help you in the event of unique situations, such the innocent spouse provisions. While these complete forgiveness programs do exist, they are for truly unique circumstances. The IRS fresh start initiative allows for forgiveness credits against your earned income to reduce the overall amount owed, in some cases down to zero. True tax forgiveness comes in the form of credits against the tax debt. These credits can reduce some or all of your tax liability. To qualify, you must make certain the IRS takes into account your taxable and non-taxable income, as well as your family size and specific financial situation. The IRS will take these specific numbers into account and may allow you to file for an Offer in Compromise. This is the closest thing the IRS offers for tax forgiveness (outside of those unique situations) and basically allows you to negotiate with the IRS the amount you can pay. The common theme of these tax pitfalls is that you made more money than you paid taxes on, and the IRS generally will not back off when you owe them money unless you apply for forgiveness. The long and short of tax forgiveness is that it’s not really about the IRS abolishing your debt; it’s more about disclosing your accounting errors, proving extenuating circumstances, and negotiating a settlement on the amount owed. You might ask, can a tax debt be forgiven? The answer depends on many factors. Be prepared to disclose all of your income, whether it comes from taxable sources, non-taxable sources like disability or child support, or even side jobs and contract work. The IRS uses these figures to determine your ability to pay. If you can’t pay taxes, this will be taken into consideration. This is the second part of how the IRS determines your ability to pay. There are sets of national standards that determine how much can be deducted from your total income for things like health care, transportation, and household items (like food, clothing, etc.). Living expenses are generally calculated by local area standards. In some cases, amounts above these standards can be taken into account with sufficient documentation. Similarly to the way your initial income tax is determined, the IRS looks at your total income, subtracts your expense allowances, takes into account any other mitigating factors, and determines your total ability to pay. 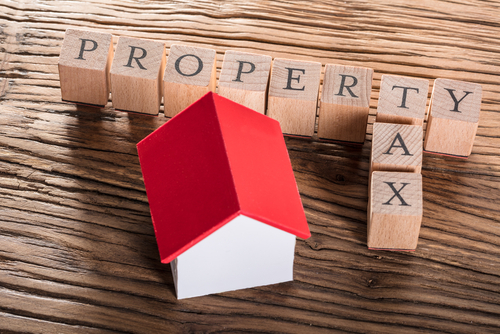 The IRS generally follows a six-year rule for repayment, so your Offer in Compromise may be accepted if your reduced amount is in line with these calculations. There are a few other things that may help you qualify for either a higher level of tax forgiveness or complete forgiveness of your tax debt. Of course, the simplest way to total forgiveness is to prove that your allowable expenses drop your disposable income to a level where payments would present a financial hardship. That can sometimes be hard to do. There are, however, a few requirements you can meet to get some tax debt forgiveness. The IRS allows for taxpayers who itemize their deductions to claim casualty losses for property and businesses that occur during declared disasters. Recent examples of this would be Hurricane Maria, Hurricane Irma, and the recent round of California wildfires. Disaster casualties can be claimed on tax returns in the same year the disaster occurs, and payments are expedited for declared disasters. Taxpayers in affected areas are also generally given extensions of when they need to have their taxes filed. In most cases, this is so taxpayers have sufficient time to gather all of the casualty data for their forms. This provision is for divorced couples or those who are legally separated. If you can prove that your spouse was responsible for the incurred tax liability and that you had no part in or reason to know about the errors, then as an innocent spouse, you can apply to have your liability in the tax bill waived. Be prepared to show all of the valid documentation the IRS requests to avoid sharing the tax bill. This is not really a forgiveness program, but more of assigning responsibility for the tax debt to the proper person. If you truly cannot afford to pay your IRS tax debt, there is a chance you can get out of paying altogether. 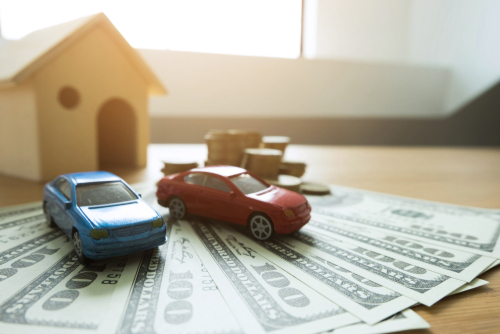 In order to qualify for being Currently not Collectible, your financial circumstances must be at a level where any payment to the IRS would represent a significant financial hardship for you and your family. This is a temporary status, and the IRS can revisit your case. Exemptions, allowances, and forgiveness are terms that get thrown around a great deal at tax time. All three of these are things taxpayers can use to reduce their overall tax liability. We’ve already discussed what forgiveness is, but what are exemptions and allowances, and how are they different? We’ve all seen the box on the W-4 form where we have to decide how many allowances we’re going to take. If you’re like most people, you don’t really understand what goes into the calculation here. You’ve just been told that the more allowances you take, the less tax is taken out of your check, but you might not get a refund at the end of the year. The government has a maximum withholding allowance, which, as of 2017, was $4,050 per exemption. This number is divided by the number of paychecks you can expect in the year. So if you’re paid bi-weekly, this would be $155.77 per exemption, per paycheck. This amount is taken out of your gross pay, and the remaining number determines how much tax you pay. Exemptions are a specific type of deduction on your tax return. The personal and dependent exemptions on your tax return are $4,050 per person as of 2016, which mirrors the allowance amounts. This is mainly meant to balance your taxable income amount with the amount you are having withheld. The idea is that the amounts being withheld from taxable calculation will mirror your deductions so that you don’t wind up owing a bunch at the end of the year. This is why some people claim zero allowances. They are basically having the IRS take more taxes than are owed during the year so that when they claim their exemptions on their Form 1040, it results in a larger refund. Where forgiveness fits into all of these numbers is through recalculation. 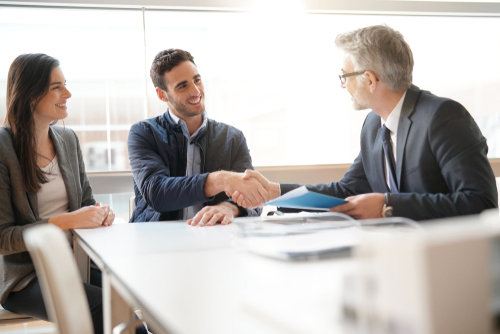 With the Offer in Compromise, you can have the IRS reassess your tax liability and show additional expenses, which may or may not reduce your tax liability. The Offer in Compromise allows you to correct for spontaneous increases in pay, such as from periods of overtime that are not continuous, or from underreported income. States also offer tax forgiveness based on personal income standards. These standards vary from state to state. For example, in Pennsylvania, a single person who makes less than $6,500 per year may qualify to have 100 percent of their state tax debt forgiven. This can be done in the form of tax credits or exemptions. Much like with federal taxes, state taxes also take family size into consideration. Sometimes IRS forms can feel a bit like alphabet soup. There are letters and numbers flying around everywhere, and beyond the 1040 form, most of us don’t know what they’re for. Here are a few essential forms that you should know about, especially if you are looking for tax forgiveness. Tax forgiveness is never an easy process, and it can seem daunting and confusing. If you feel overwhelmed, seek help from a tax relief firm to guide you. The 1040 form is the primary tax form we see every year. The numbers on this form come directly from the Form W-2 you get from your employer. The form lines are numbered, and the instructions for calculations are laid out on the form. Be careful with this form, because under- or over-reporting your income can lead to severe problems. The additional forms (called schedules) are for things like itemized deductions or various tax credits. The W-4 is the form you fill out when you get hired. This form is essential because you get to claim allowances on this form, which can increase your paychecks. Be careful here, because if you claim more allowances than exemptions on your taxes, you might end up owing at the end of the year. This is the booklet you’ll need to fill out to apply for the Offer in Compromise. The booklet has all the information you’ll need to fill out the application; however, you may want to have a tax attorney look at it as well. The application is very detailed, and you should be prepared to show complete documentation of any claims made in the packet. The booklet consists of Form 433-A for individuals, Form 433-B for businesses, and Form 656, which is the Offer In Compromise application. Being in trouble with the IRS is never a good thing, but it’s not the end of the world. There are relief and forgiveness programs available to help you. The worst thing you can do is to try to avoid the IRS. They can garnish your wages, withhold future tax refunds, and more. If you’re in this situation, the best thing you can do is get help with tax debt relief from Solvable. It is not an easy process, and you may not qualify for all programs, but with help, you may be surprised at the results. With full disclosure of the facts and mitigating circumstances taken into account, you may be able to have your tax debt reduced substantially.